The conference facility exceeds all of its size in the area. Let us entertain you The Queens Hotel regularly hosts special events such as themed dinner evenings, comedy shows, dinner dances, and live music concerts. Well-known entertainers and artists that have performed on the stage in the hotel's extensive conference facility. 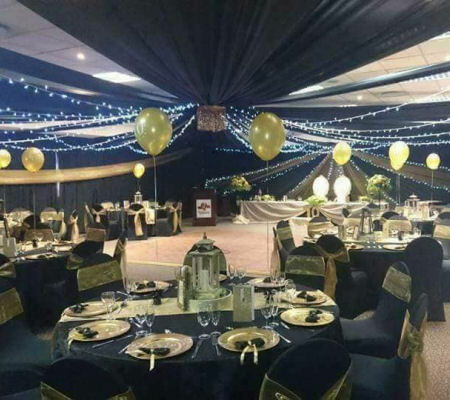 The opulent interiors, with the exquisite Walter Everett Gardens as a backdrop, make the Queens Casino & Hotel a fairy-tale venue for weddings, and an ideal place to host other special events such as birthdays, gala dinners and corporate functions. Almost every vista is a photo opportunity - from the immaculate gardens to the old-style charm of the Victorian foyer. While the wedding party is off taking photos, the crystal-clear pool area is very inviting for guests to enjoy a welcome drink on the wooden deck while taking in their beautiful surrounds. Queen's Hotel's highly-experienced food and beverage team will help you put together a mouth-watering menu and perfect event for up to 300 people. 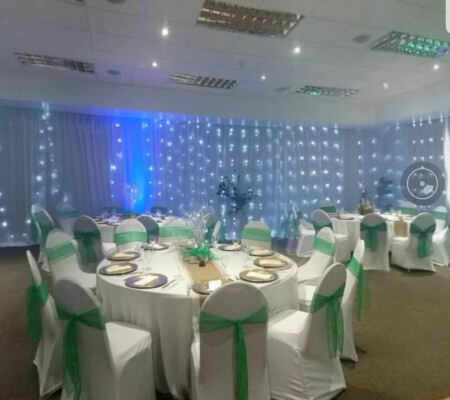 Queens has state of the art conferencing Venue: 370 m2, with 2 LED projectors and digital sound system. There is its own reception area, bar and a full kitchen attached. 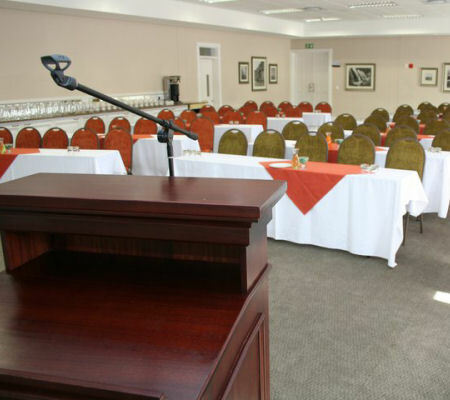 The conference centre can be divided into 3 rooms, catering for any size use.